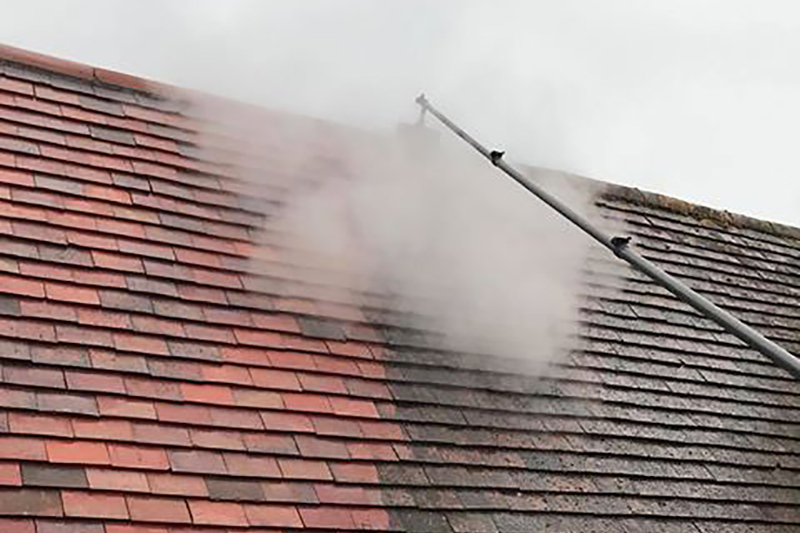 At Bishop's Exterior Cleaning we provide first-rate residential and commercial roof cleaning services in Dawlish and throughout Devon. Our roof cleaning team are fully trained in the use of all the equipment and cleaning solutions they use and are fully insured. Give us a call on either 01626 798 188 or 07938 377 547 to find out more about our roof cleaning services. Residential roof cleaning services in Dawlish and throughout Devon. Commercial roof cleaning services in Dawlish and throughout Devon. Hire Bishop's Exterior Cleaning for all your roof cleaning requirements. We regularly clean roofs for residential and commercial customers in Dawlish and throughout Devon. We offer moss removal, biocide treatment and minor roof repairs to our customers. Keeping the roof on your property well maintained is essential to the structural integrity of your home or business premises. Leaking and sagging roofs can cause serious long term damage to your building, having the knock-on effect of having to have your roof completely replaced, at great cost to you. Prevention is better than cure and we are here to help. Our professional roof cleaning team will come out to your property at a time that suits you and remove any moss, algae and other organic matter from your roof and treat it with a biocide treatment, leaving you with a roof to be proud of. Maintaining your roof can help you sell or rent your property and can even increase it's sale or rental value. Speak to us today about our roof cleaning services.